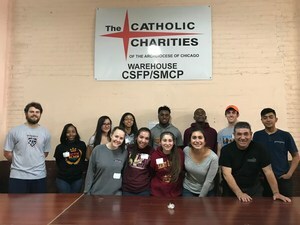 170 Volunteers from 4 Chicago-area Jesuit High Schools join together to provide aid to those in need. 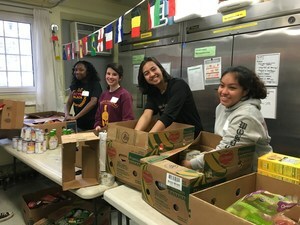 CTK hosted the 7th annual Jesuit Day of Service on President's Day February 19th. 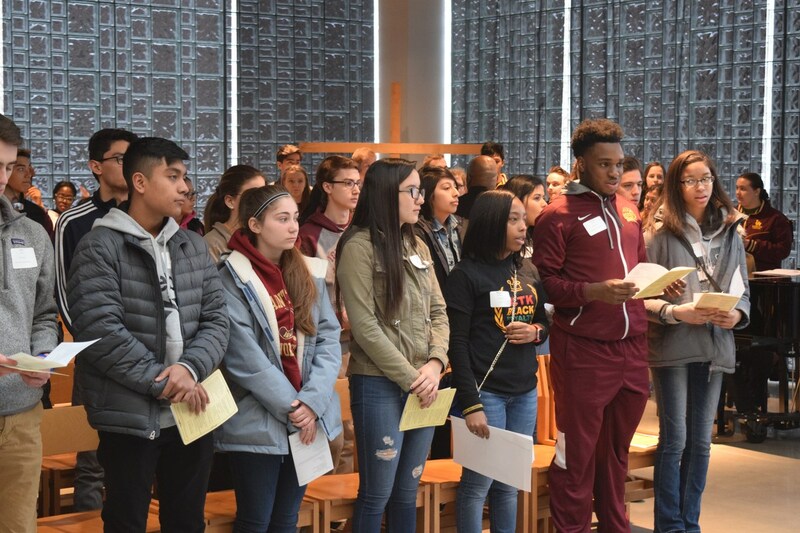 This event brought together students from the 4 Chicago-area Jesuit high schools - St. Ignatius College Prep, Loyola Academy, Cristo Rey Jesuit, and CTK - to build individual relationships and a collective community, as they become men and women for others. Combined groups of students and chaperones spent much of the day providing hands on support at nearby community charities. The 170 volunteers helped to provide food and shelter for those in need at 12 different service sites including: the St. Pius soup kitchen, Catholic Charities West & South, and Oak Park River Forest Food Pantry. The day began with a mass featuring a combined choir and student reflections on the ideal characteristics of Jesuit High School students, known as Grad at Grad. Special thanks to CTK event leaders Ms. Maura Rocks, Director of Christian Service, and Ms. Cheryl Cattledge, Director of Campus Ministry. Ms. 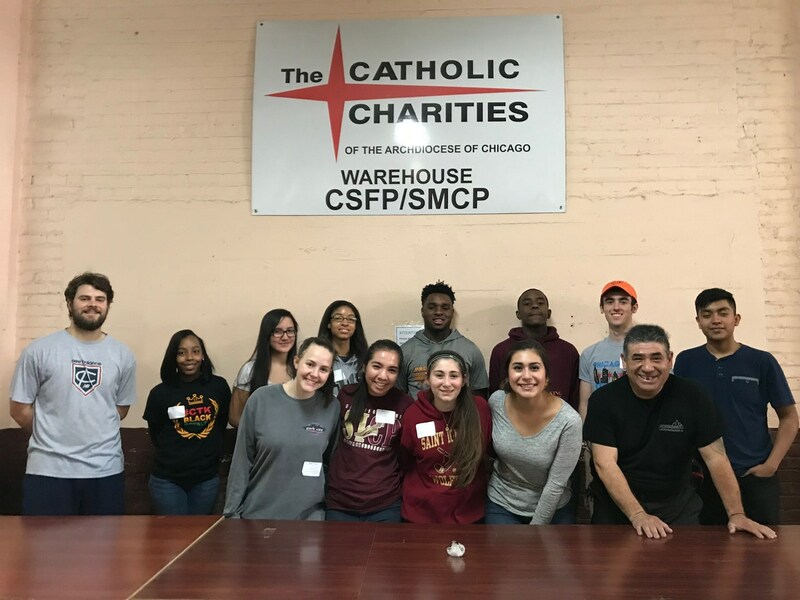 Rocks commented on the significance of the day, "The students involved are living completely different lives in different parts of Chicago, but as part of the Jesuit education model are experiencing the shared call to be men and women for others. 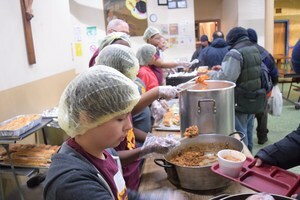 The acts of service help to break down barriers, and ultimately build a stronger community of compassionate, young leaders."